A drought is when there is a lack of precipitation over an extended period of time, usually a season or more, resulting in a water shortage for some activity, group, or environmental sector. Its impacts result from the interplay between the natural event (less precipitation than expected) and the demand people place on water supply, and human activities can exacerbate the impacts of drought. Drought has many causes. It can be caused by not receiving rain or snow over a period of time. If you live in a place where most of the water you use comes from a river, a drought in your area can be caused by places upstream from you not receiving enough moisture. There would be less water in the river for you and other people who live along the river to use. People can also play a big role in drought. If we use too much water during times of normal rainfall, we might not have enough water when a drought happens. Can scientists predict if a drought is going to happen? No! Studies conducted over the past century have shown that meteorological drought is never the result of a single cause. It is the result of many causes including, global weather patterns, high pressure, the tropical outlook and other global-scale variables. Of all the droughts that have occurred in the United States, the drought events of the 1930s are widely considered to be the “drought of record” for the nation. The 1930s drought is often referred to as if it were one episode, but it was actually several distinct events occurring in such rapid succession that affected regions were not able to recover adequately before another drought began. The term Dust Bowl was coined in 1935 to describe the drought-affected south central United States in the aftermath of horrific dust storms. Although it technically refers to the western third of Kansas, southeastern Colorado, the Oklahoma Panhandle, the northern two-thirds of the Texas Panhandle, and northeastern New Mexico, the Dust Bowl has come to symbolize the hardships of the entire nation during the 1930s. 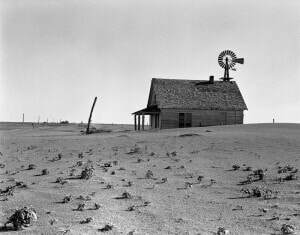 How bad was the drought in the Dust Bowl years? In the 1930s, drought covered virtually the entire Plains for almost a decade. 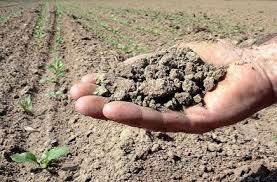 The drought’s direct effect is most often remembered as agricultural. Many crops were damaged by deficient rainfall, high temperatures, and high winds, as well as insect infestations and dust storms that accompanied these conditions. The resulting agricultural depression contributed to the Great Depression’s bank closures, business losses, increased unemployment, and other physical and emotional hardships. Although records focus on other problems, the lack of precipitation would also have affected wildlife and plant life, and would have created water shortages for domestic needs. What was the Black Sunday Dust Storm? How does a drought affect our lives? Drought affects our lives in many different ways because water is such an important part of so many of our activities. We need water to live, and animals and plants do too. We need water to grow the food we eat. We also use water for many different things in our lives, like washing dishes, cooking, bathing, and swimming or river rafting. Water is also used to help make the electricity we use to run the lights in our houses and the video games you may like to play. When we don’t have enough water for these activities because of a drought, many people and many different things will be affected in many different ways. How can we help if we’re in a drought? One of the easiest steps we can take to help mitigate the impacts of drought is conserving water. If we use water wisely at all times, more water will be available to us and to plants and wildlife when a drought happens. We can lose a lot of water doing simple everyday tasks. Did you know that turning off the water while you brush your teeth can save more than 100 gallons of water a month? If you have a leaky faucet, the drips can add up to 300 gallons of wasted water a month. What are the different types of drought? There are four basic approaches to measuring drought: meteorological, hydrological, agricultural, and socioeconomic. The first three approaches deal with ways to measure drought as a physical phenomenon. The last deals with drought in terms of supply and demand, tracking the effects of water shortfall as it ripples through socioeconomic systems. Meteorological drought is defined usually on the basis of the degree of dryness (in comparison to some “normal” or average amount) and the duration of the dry period. Definitions of meteorological drought must be considered as region specific since the atmospheric conditions that result in deficiencies of precipitation are highly variable from region to region. For example, some definitions of meteorological drought identify periods of drought on the basis of the number of days with precipitation less than some specified threshold. This measure is only appropriate for regions characterized by a year-round precipitation regime such as a tropical rainforest, humid subtropical climate, or humid mid-latitude climate. Agricultural drought links various characteristics of meteorological (or hydrological) drought to agricultural impacts, focusing on precipitation shortages, differences between actual and potential evapotranspiration, soil water deficits, reduced groundwater or reservoir levels, and so forth. Plant water demand depends on prevailing weather conditions, biological characteristics of the specific plant, its stage of growth, and the physical and biological properties of the soil. A good definition of agricultural drought should be able to account for the variable susceptibility of crops during different stages of crop development, from emergence to maturity. Hydrological drought is associated with the effects of periods of precipitation (including snowfall) shortfalls on surface or subsurface water supply (i.e., streamflow, reservoir and lake levels, groundwater). The frequency and severity of hydrological drought is often defined on a watershed or river basin scale. Although all droughts originate with a deficiency of precipitation, hydrologists are more concerned with how this deficiency plays out through the hydrologic system. Hydrological droughts are usually out of phase with or lag the occurrence of meteorological and agricultural droughts. It takes longer for precipitation deficiencies to show up in components of the hydrological system such as soil moisture, streamflow, and groundwater and reservoir levels. As a result, these impacts are out of phase with impacts in other economic sectors. Socioeconomic definitions of drought associate the supply and demand of some economic good with elements of meteorological, hydrological, and agricultural drought. It differs from the aforementioned types of drought because its occurrence depends on the time and space processes of supply and demand to identify or classify droughts. The supply of many economic goods, such as water, forage, food grains, fish, and hydroelectric power, depends on weather. Because of the natural variability of climate, water supply is ample in some years but unable to meet human and environmental needs in other years. Socioeconomic drought occurs when the demand for an economic good exceeds supply as a result of a weather-related shortfall in water supply.